Air Fryers are good for so much more than just making awesome french fries. I use mine for a thousand reasons, and I love how this Chicken Jalfrezi turned out using my Air Fryer! It kept my chicken juicy and tender, it cooked quickly, and the spice infusion was incredible. Not to mention the fact that it all cooks together in one pan making this dish easy and simple for a weeknight meal (or any meal really). WHAT ON EARTH IS JALFREZI? 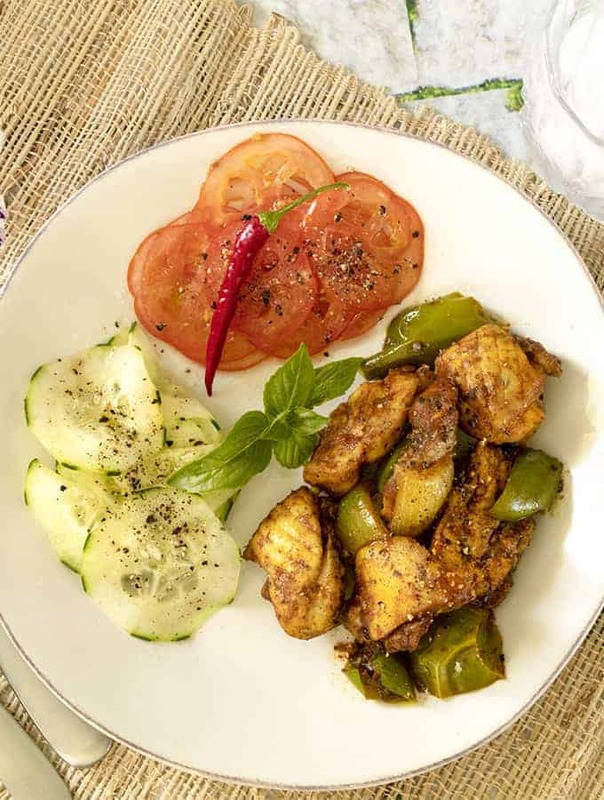 Chicken Jalfrezi or Jhalfrezi is basically a fancy way of saying a chicken curry dish with stir-fried veggies. It’s actually a very clever way to use up leftovers. Jhal in Bengali means spicy, so you can make this spicy. But essentially, it’s chicken, onion, bell peppers, coated in spices and a well-spiced tomato sauce. Doesn’t that just sound delicious? It’s a pretty popular dish in Eastern restaurants and is also a popular dish in India and Pakistan. It’s also delicious and super simple to mix up. It’s a meal that easy for Americans to enjoy because it uses easy to find ingredients with familiar tastes, and amps it up with spice like only Eastern food can do. HOW TO MAKE CHICKEN JALFREZI? I do think this dish is more popular outside of India than it is in India, and it is most definitely not made in an air fryer if made the traditional way. Traditionally, you’d cook this in a wok on the stovetop. You’d stir-fry the chicken and veggies, and then add the tomato sauce and all the spices. Then, you’d cover the pan and let the chicken cook through. It’s typically a relatively dry dish without a lot of soupy sauce on it. 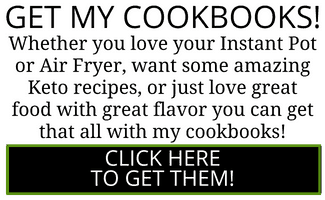 But I like using my air fryer for a variety of recipes and air fryer chicken jalfrezi just sounded good to me one day. 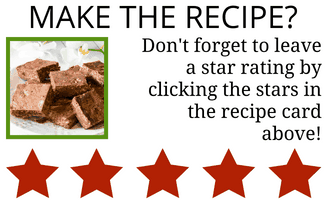 The Air Fryer makes this recipe so easy. You coat the meat and vegetables, and then air fry it for 15 minutes and there’s not much else to the recipe! The air fryer actually cooks things about 33% faster than your oven would, so in addition to not dirtying extra dishes, you’re actually reducing cooking time–not to mention, no need to baby sit, and stand and stir. 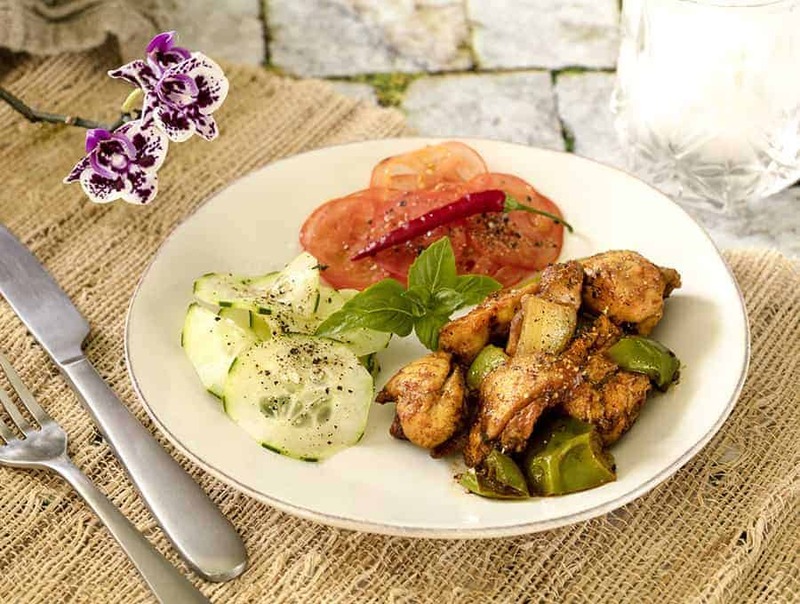 WHAT CAN YOU SERVE WITH THIS AIR FRYER CHICKEN JALFREZI RECIPE? I am a big believer in mixing up cuisines so these other suggestions aren’t Indian food per se. But they are dishes that I think would go well with the Chicken Jalfrezi. 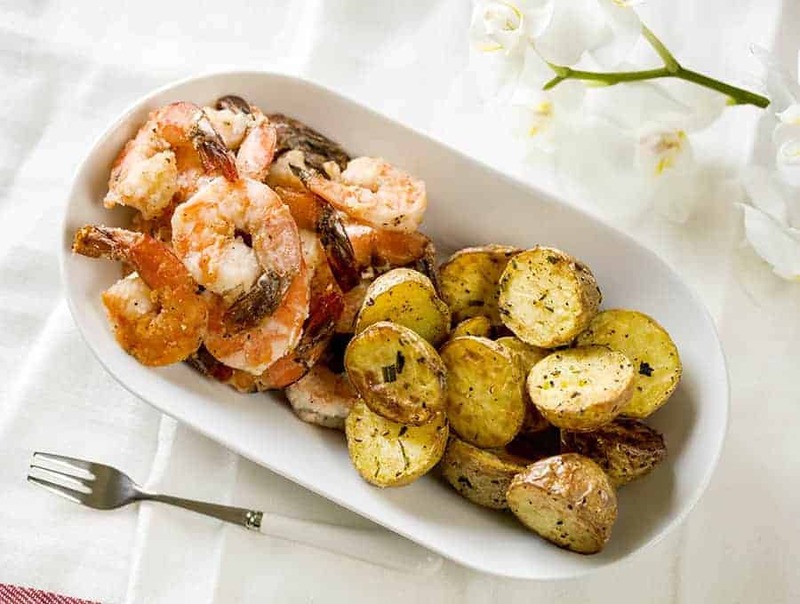 Dirty less dishes and use your air fryer to cook your side as well! This Rosemary Roasted Potatoes is absolutely scrumptious and made quick and easy in your air fryer. And while you’re at it, why don’t you cook your dessert in the air fryer too? 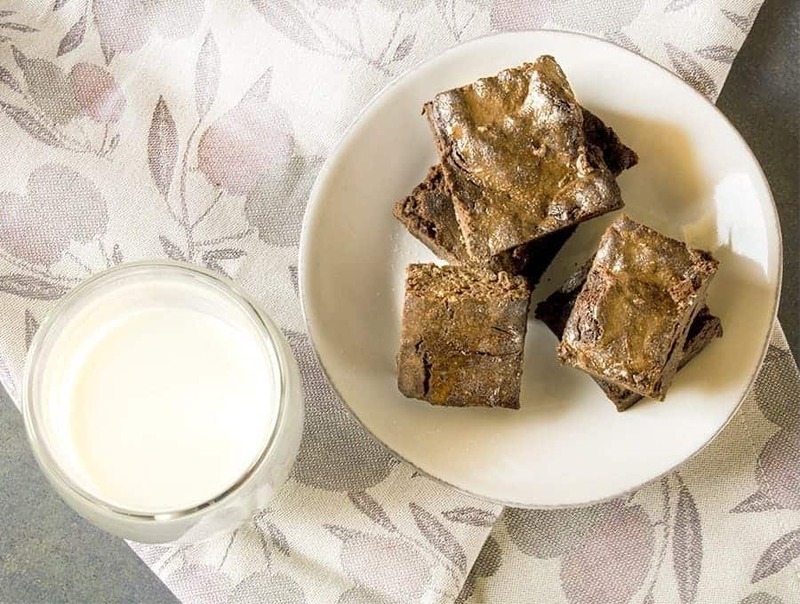 These Keto Flourless Chocolate Brownies are absolutely to die for while being surprisingly low carb. This Chicken Jalfrezi is a really flavorful curry dish that we enjoy a lot. 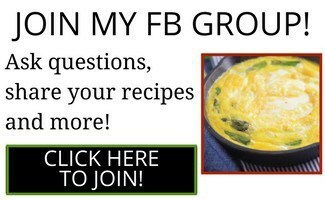 If you’re not doing low-carb you could serve it with rice or naan bread. If you are doing low carb you can serve it with a side salad of sorts to make it a whole meal. The sauce is tomato-based and pairs really well with the peppers and onions and has just the right amount of heat to make the sauce flavorful without being too spicy. 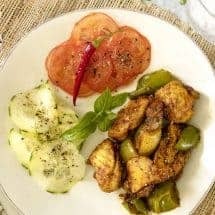 This Chicken Jhalfrezi recipe is an air fryer take on a delicious traditional Indian Jhalfrezi recipe. It's gluten free and low carb friendly! In a large bowl, mix together Chicken, onions, peppers, oil, salt, turmeric, garam masala and cayenne. Place the chicken and vegetables in the air fryer basket. Set the air fryer for 360F for 15 minutes. Stir and toss half way through the cooking time. Meanwhile, make the sauce: In a small microwave safe bowl, combine tomato sauce, water, garam masala, salt, and cayenne. Microwave for 1 minute. Remove and stir. Microwave for another minute. Set aside. Once the chicken is cooked, remove and place chicken and vegetables in a large bowl. Pour the prepared sauce over them, and toss to cover the chicken and vegetables evenly with the sauce. Serve with rice, naan, or a side salad. You can also cook this dish stovetop. You would stirfry the chicken, onion, and bell pepper until they were mostly cooked, and then add the sauce along with a little extra water. Then, you'd cover the pan and let it simmer until the sauce had thickened, and the chicken and veggies were cooked through. Leave a little bite in the veggies and you're all set. Looks good! I’m considering purchasing an air fryer in part because of this dish. Question, what are the tomato and cucumber side dishes? Both look good as well. Such a simple, easy recipe. My wife doesn’t like spicy hot, so I used just a pinch of cayenne. Used the Garam masala recipe from Petra’s Indian PT Cookbook. We usually split an entree, so with a pound of chicken and “serves 4” I thoroughly expected to have two meals for two. It didn’t work out that way; neither of us could quit eating until it was all gone. 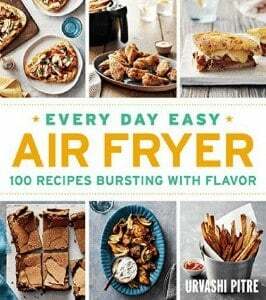 Can’t wait for the new Air Fryer Cookbook.